The 2017 England Handball Men’s National Cup finalists and runners-up are still in the frame for potential 2018 glory, with two teams from outside the Premier Handball League having also made it this far. Who will be contesting the semi-finals? Can last year's giantkillers, Oxford University, triumph over the defending champions Warrington Wolves? West London Eagles take on their London neighbours Islington in the opening quarter final of the weekend. Eagles came through a tough test in the previous round, eventually triumphing 28-26 over Manchester. Islington, currently topping the table in the National Handball League South, had a far smoother ride, beating the students from Leeds Beckett University by 19 goals in a 17-36 scoreline. Throw-off in this London derby is at 17.00 on Saturday in Barking Sporthouse. Saturday afternoon will see NEM Hawks travel south to Sutton Bonington Sports Centre to play Nottingham, with throw-off at 17.00. Hawks, last year’s losing finalists, will be smarting at the memory of that 45-22 defeat in the 2017 National Cup Final at the hands of Wolves and will hope to go one better this year. They beat Bristol in the round of 16, with Nottingham seeing off Brighton Seahawks. However Hawks and Nottingham sit adjacent to each other in the Premier Handball League table, on equal points, so this game could go down to the wire. The third quarter final pits Cambridge against London GD, with the teams throwing off at 13.20 in the iconic Copper Box Arena on the Queen Elizabeth Olympic Park, host to the London 2012 Olympic handball tournament. With GD sitting at the top of the Premier Handball League table at the moment, they would appear the favourites; but they only won their previous game by one goal against Olympia. Cambridge had a far more convincing victory in the round of 16, seeing off Carshalton Titans 33-24, so this match could be a real contest. The concluding match of the weekend sees the students from Oxford University take on Warrington Wolves at 16.30 in Stoke Mandeville Stadium. 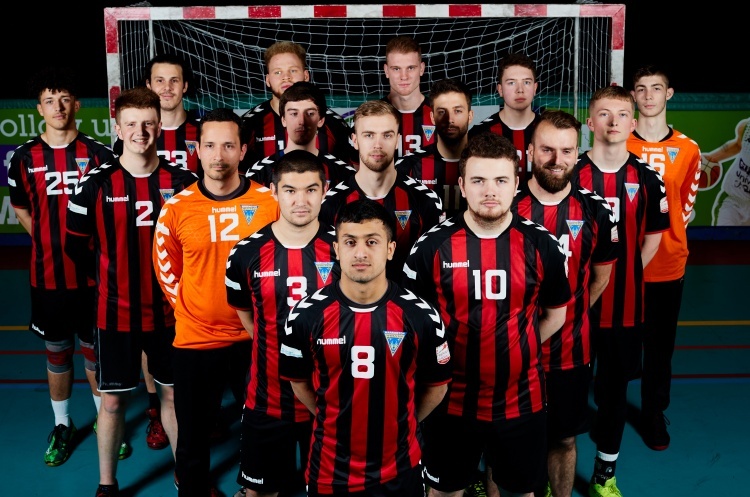 Oxford, 2017 semi-finalists and currently top of the Regional League South East Tier 1 with only one league defeat to their name this season, will hope to spring a surprise on their Premier Handball League opponents Wolves. Wolves have won the cup five years in succession, including last year’s triumph. Both teams qualified for the quarter finals by winning by just a handful of goals in the round of 16: Oxford against London GD II, and Warrington by beating Liverpool. Can Wolves make it six in a row, or could the students spring a surprise after their 2017 semi-final run? By the end of the weekend we will know our semi-final line ups, with four teams being only match away from the National Cup Final. The men’s and women’s finals will be held on 5th and 6th May.